One of Ben’s “Helm” paintings. Hey everyone, hope you had a fine festive season etc. I just thought I’d show you all a blog that belongs to a good friend of mine. 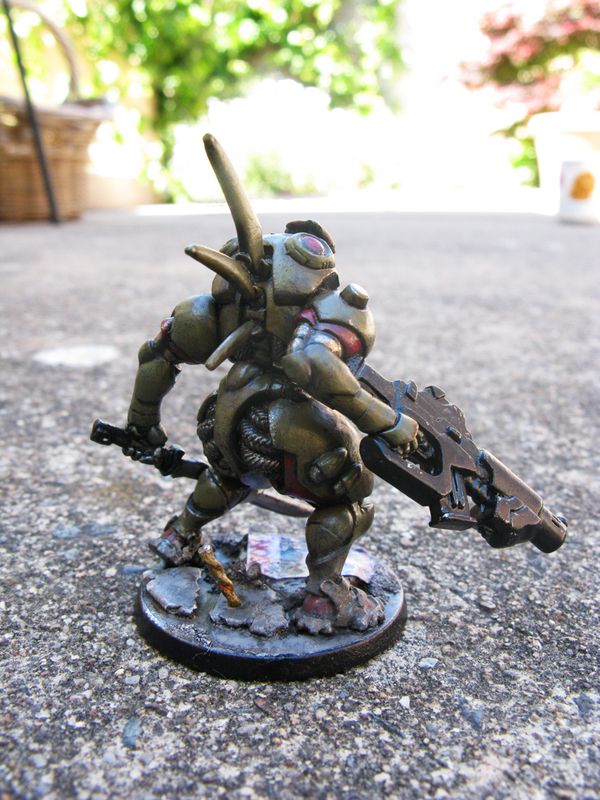 He lives in Melbourne now, which is an eight hour train ride from my place, but he visited me for a couple of beers recently and we talked about miniature painting and books and stuff. Anyway, his name is Ben Guy and he’s a painter. Not a miniature painter (or indeed, a house or sign painter) but a picture painter. Specifically, he does a lot of comics, fantasy and sci-fi based art as well as landscapes. I happen to think he’s really good, and I’m not the only one – he was recently showcased in a French book about Geek Art. If you’re in the market for some original art then you could do a lot worse. Just contact him via the blog I presume. Also, for those of you who haven’t heard, Larry Elmore’s Kickstarter ended as the second highest funded Kickstarter ever in the publishing category. This makes me really happy, as Elmore was always my favourite D&D artist as a kid. I’m friends with him on facebook and it’s really warmed my heart to see the total gratitude and shock he’s expressed. It just goes to show that if you just keep on doing what you do, you’ll most likely get there in the end. Not that Elmore hadn’t made it already. But now, as he says, he has money to fall back on when work is slow and it’s all because of the ordinary people who love his work. I always wanted an Elmore original but I doubt I’ll be able to afford one after this! Well done Larry. Larry Elmore’s iconic “Red Box” in T-shirt form! Well, as promised, here is my gui jia T.A.G. and some Japanese support troops. 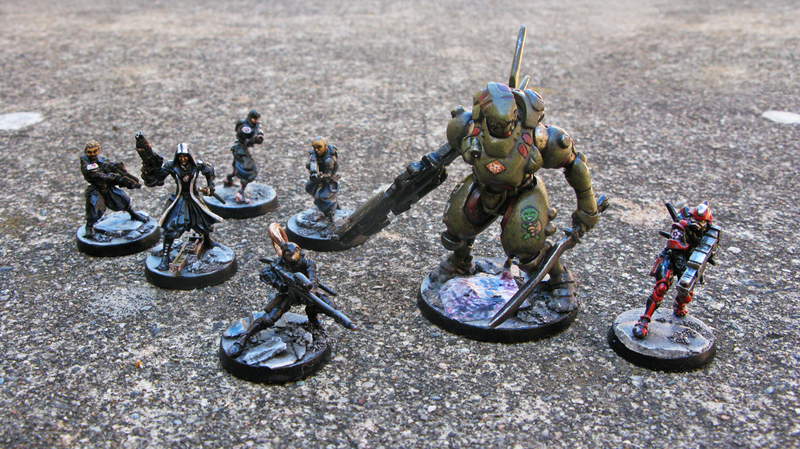 This is a usable Infinity army, but I need a few more models to get to 250 points, which is the Australian standard game size. 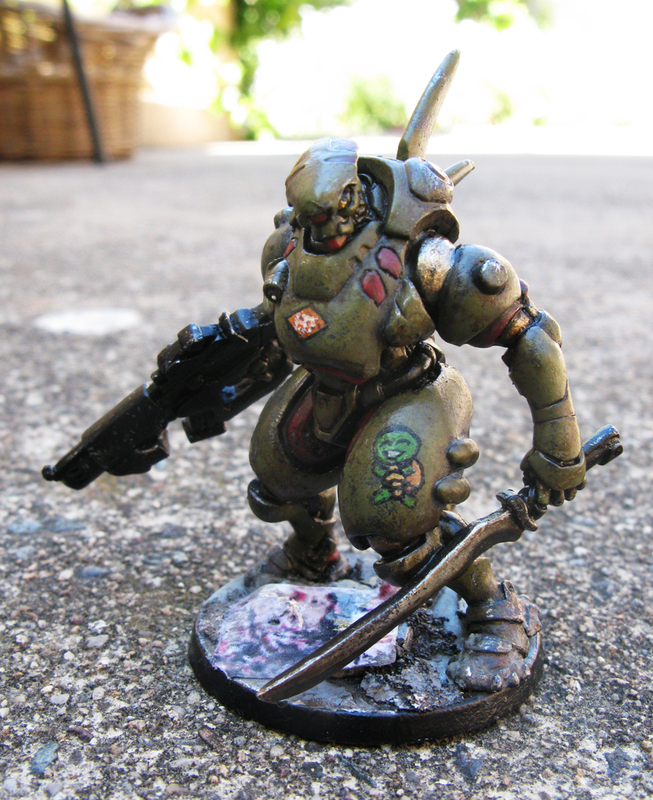 I gave a lot of consideration to how I would paint my Infinity models before I started. 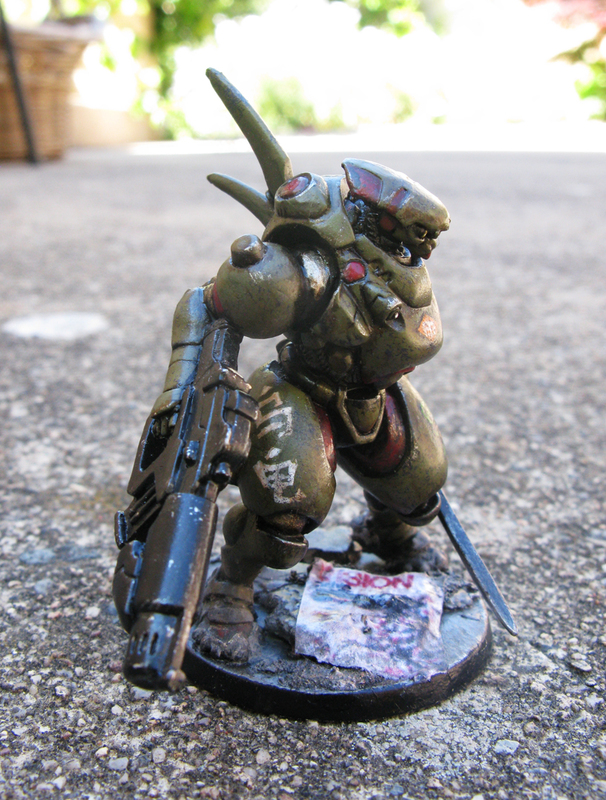 I knew I wanted to go for a cleaner style than my Blanchian Battle Sisters and ancient looking, washed-out Eldar. Infinity is anime-inspired after all. But I just couldn’t bring myself to go all-out anime style, with . . . interesting colours. Corvus Belli’s studio models are fantastically painted, and look like they stepped out of an episode of Neon Genesis or a Mass Effect game, but I just can’t take a military vehicle painted bright orange seriously. I’m sorry. The characters say “tortoise.” That year of studying Mandarin finally pays off! Ah well, I paint them in the end to look good to me, and I’m happy with them. So I can’t complain. But it would be nice for us naturalistic painters to get a bit of love sometimes. You can really see the weathering powders on the feet in this shot. I used military modelling weathering techniques for the first time on the gui jia, as opposed to simply painting mud and paint chips on like I did with my 40k tanks. 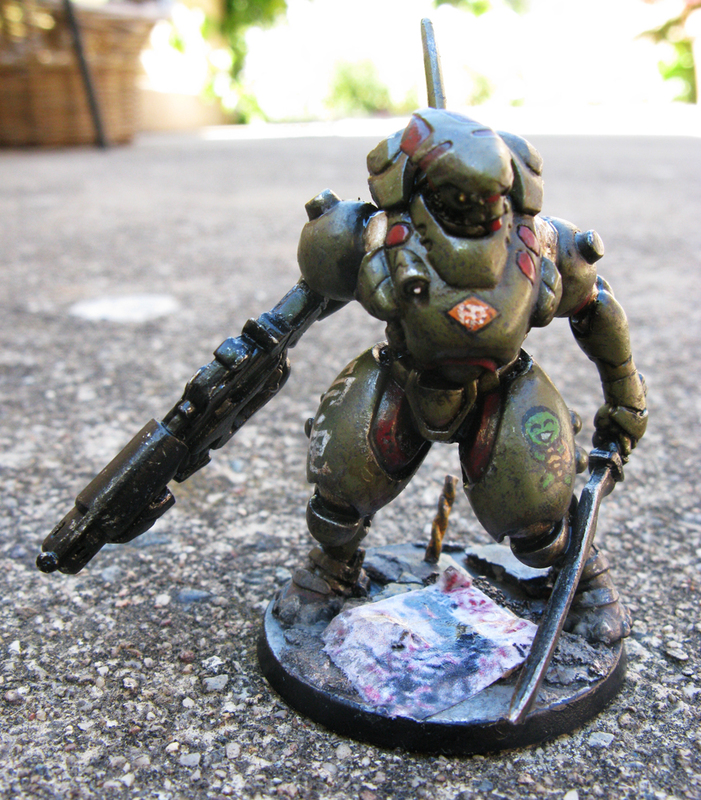 I used oil paints, weathering powders, the whole deal. It was actually really tricky not to overdo it, but I’m very happy with how she turned out (my gui jia pilot is a girl I imagine, since she has a totally cute tortoise painted on her leg armour). Left to right: keisotsu and kempei, ninja with sniper rifle, gui jia and domaru. I just need a couple more models to make up a 250 point force.
. . . it shot out really fast and was super thick, so now my goblins that I spent weeks slowly cleaning and basing in spare moments look like a three-year old dipped them in blue sludge. Oh and I got it all over the cement on my new courtyard and all over the keys on my laptop. I’m pretty annoyed, I planned this really carefully and it was supposed to be a triumphant display of ingenuity and new materials. Oh well, back to the drawing board I suppose. The thing about deviating from the way things are normally done and taking risks is that sometimes you crash and burn. Looking forward to the tournament on Sunday though. 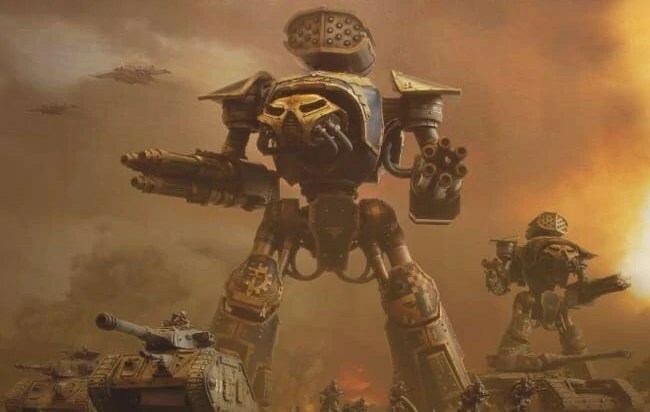 We’ve managed to play a few practice games and it’s got me excited for 40k. I’ll report back how it went in the next post.